Living… in Dillon, Texas. Her father is Buddy Garrity, owner of the Dillon Chevrolet dealership. She comes from an upper-middle class family and had a very sheltered childhood. Her whole life is centered on supporting Jason Street – her boyfriend and former starting quarterback – and hopefully marrying him. Profession… student at Dillon High and Panthers cheerleader. She is a straight-A student with half the student body pining for her. It is impossible for a girl like her not to get caught up in the perils of high school drama, yet she has somehow kept her grades up. Interests... cheerleading, football, her studies. Lyla is very smart, and is at the top of her class. She leads the cheerleading squad, and has the capacity to organize a fundraiser in record-breaking time. She has become the girl that others expect of her, but her interests slowly begin to change after Jason’s accident. Relationship Status... dating Jason Street. They have been dating for several years and it is understood that they will eventually marry. Jason and her are the power duo at Dillon High, and are mini-celebrities in their community. Lyla has expected Jason to win a football scholarship to Notre Dame, where she would follow him. After Jason becomes paralyzed, her whole world is turned upside down. While she is completely dedicated to Jason and his recovery, his friend Tim is becoming a rock for her outside of the hospital. Challenge… reconciling her future with her past and her desires with those of her loved ones. She was devastated when her future fiancée was paralyzed, desperately looking to her faith for answers but eventually having to accept the tragic circumstances. She’s an ambitious, goal-oriented girl with numerous forces in the way of her self-actualization. Personality… prissy, loyal, dedicated, supportive. At first she can be seen as something of a princess, a little-miss-perfect. While she can be preachy and holier-than-thou, she can also be patient, particularly with those she cares about. She spends a lot of time caught up in drama but she does have bigger dreams for herself. She perseveres in the face of tragedy and hardship. Lyla Garrity's popularity ranking on CharacTour is #2136 out of 5,000+ characters. See our top-ranked characters and read their profiles. Friday Night Lights is an American drama television series based around a high school football team situated in Texas. It was developed by Peter Berg, and executive produced by Brian Grazer, David Nevins, Sarah Aubrey, and Jason Katims, based on the book and film of the same name. The series takes place in the fictional town of Dillon: a small, close-knit community in rural Texas. Particular focus is given to team coach Eric Taylor and his family, Tammy and Julie. The show uses this small town backdrop to address many issues facing contemporary American culture, including family values, child development, life lessons, school funding, racism, drugs, abortion and lack of economic opportunities. 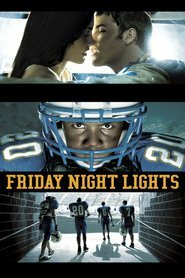 Produced by NBCUniversal, Friday Night Lights premiered on October 3, 2006, airing for two seasons on the National Broadcasting Company. Although the show had garnered critical acclaim and passionate fans, the series suffered low ratings and was in danger of cancellation after the second season. To save the series, NBC struck a deal with DirecTV to co-produce three more seasons of the show with each subsequent season premiering on DirecTV's 101 Network after which NBC rebroadcast the series a few months later. The series ended its run on The 101 Network after five seasons on February 9, 2011.